On Tuesday, August 27, Judge A. Wallace Tashima ruled the shutting down of the Mexican-American studies program in Tucson public schools unconstitutional. In 2012, two former Arizona superintendents, Tom Horne and John Huppenthal, claimed that such a program would promote hatred towards other races in public schools—as a result, the use of reading materials from multiple Latinx writers was banned. After five years, Judge Tashima confirmed that Tucson’s actions were in violation of the First and Fourteenth Amendments. Since the ruling, it is still unknown exactly when the program will make its return to middle and high school classrooms. This is just one example of the many issues revolving around the banning of books nationwide. As Banned Books Week comes to a close, we have compiled a list of the top five books from Latinx writers banned not just from Arizona public schools, but from multiple areas around the U.S.
Set in Post-World War II New Mexico, this coming of age novel follows Antonio and his relationship with his grandmother and curandera, Ultima. Bless Me Ultima has been banned for multiple years, most frequently for language, sexuality, Satanism, and its focus on religion. Anzaldúa’s collection of poems and essays illustrates the social borders that stand between the cultures of the United States and Mexico as well as those that divide sexual, gender, and racial identity. Borderlands was one of the many books banned in Tucson, Arizona following the discontinuation of the Mexican-American studies program in public schools. Cisneros takes a different approach to illuminating the complications of living along the border in terms of identity and gender roles that come with it. 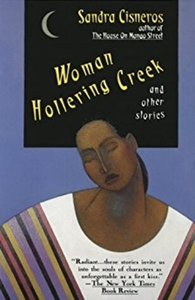 Woman Hollering Creek is a short story collection that follows intentionally stereotyped Mexican characters living along the U.S./Mexico border. Through the use of stereotypes, Cisneros draws out the heavy feeling of not belonging to either country; of not having a true home. This collection is another work banned in Tucson due to its focus on race and immigration. Drown is Díaz’s debut short story collection that delves into the struggles of Dominican immigrants coming to America in the 1980s. Mostly, the collection focuses on a young boy named Yunior, from his early childhood living in the Dominican Republic to his time growing up in the Bronx. Throughout these ten stories, Yunior describes his strict relationship with his father, yearning for normal relationships, and discovery of his sexuality. 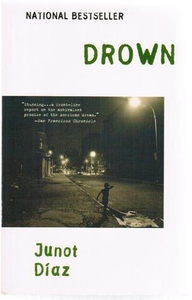 Drown has been banned for its use of strong language, sexuality, and the discussion of immigration and race. The Words of César Chávez serves as both a biography and anthology of Chavez’s speeches and letters throughout his time spent founding the National Farm Workers Association and working towards workers’ and civil rights equality for Mexicans and Mexican-American workers. Chávez’s own personal words in this collection serve as a direct call for racial equality, and serve as exemplary non-violent actions. However, this collection has also been banned for the discussion of immigration and race. The books listed share the common goal of pushing for racial equality. Yet according to critics, the primary issue with inclusion of these books in public school curriculums lies solely on the discussions centered on race and how they may foster hostile views towards other races. This of course fails to recognize the role of teachers, not only as educators, but in their ability to promote a safe learning environment. In an educational setting, the goal is to catalyze discussions and develop an understanding of races and their backgrounds. This issue is not exclusive to Latinxs but pertinent to all races. The understanding Mexican American and other ethnic studies promote—key to equitable worldviews—is being erased from textbooks and lesson plans, which creates a larger problem among students. Without that comprehension, there is no awareness of the struggle that immigrants and citizens of different races encounter. There is no awareness of the desire for equality, and as a result, this racialized censorship creates an even wider-spread hostility towards an even larger number of people. Apart from education, some might still ask: why bother reading these books? This question may seem silly, but it is an important one that must be asked and answered frequently to solidify a clear understanding as to why these books were banned in the first place. There is a fear of establishing empathy towards racial discussions among institutions moulding a new generation of students. Those students eventually become a part of society with the social norms they have been taught, and they will treat people of other races according to what they have learned. These banned books need to be read and defended in order to erase the fear of teaching them, to have these and more become no longer banned, and to erase hostility towards equality.